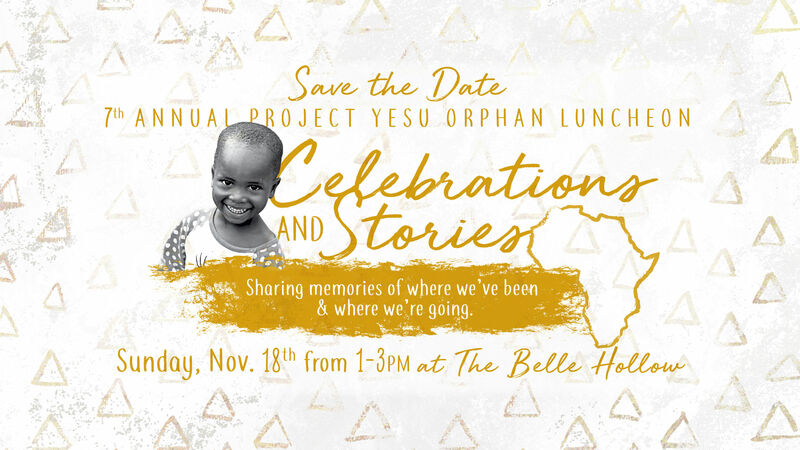 Join us as we celebrate 7 years of Project Yesu! Experience Uganda, and hear stories of lives transformed. There will be a silent auction, shared stories, live music and an interactive Uganda experience! This year our speaker will be our friend and photographer from Uganda who will share his story of growing up in Uganda. Our performer will be Nashville singer/songwriter David Borné. Our silent auction will include local retailers, restaurants, professional sports teams and much more! Tickets are $20 - children 9 and under are free!